Former Malaysian Prime Minister Najib Razak was detained by the anti-corruption body on Wednesday, to face fresh corruption charges related to state investment fund 1MDB. South Korean state prosecutors demanded a 20-year imprisonment on Thursday for former conservative President Lee Myung-bak over corruption charges. Former Secretary General of the United Nations Kofi Annan passed away at the age of 80 at a Swiss hospital on Saturday. Cricketer-turned-politician Imran Khan was sworn in as prime minister of Pakistan in Islamabad on Saturday morning. Cricketer-turned-politician Imran Khan of the Pakistan Tehreek-e-Insaf (justice movement party) has been elected as the new prime minister of the country on Friday evening in a polling held by the National Assembly or lower house of the parliament. Mahathir Mohamad said would strengthen relations with China in upcoming visit, citing historical bond and close cooperation during his previous years in office. The plunge of Turkish lira is "a plot against Turkey" and the country will seek new partners and markets if the United States does not back down on its hostile policy. 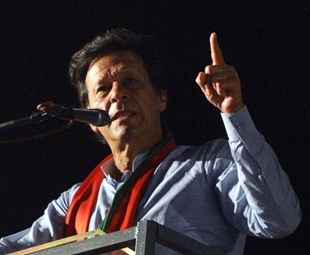 Imran Khan told media that his Pakistan Tehrik-i-Insaf (PTI) party won victory in the general election. Chinese President Xi Jinping's upcoming state visit to Senegal will be a historic one with great importance to the future of bilateral ties, said Senegalese President Macky Sall on Thursday.